Sat., Feb. 4, 2012, 2:01 p.m.
A historic building slated for the wrecking ball could get a friend in the Spokane City Council. 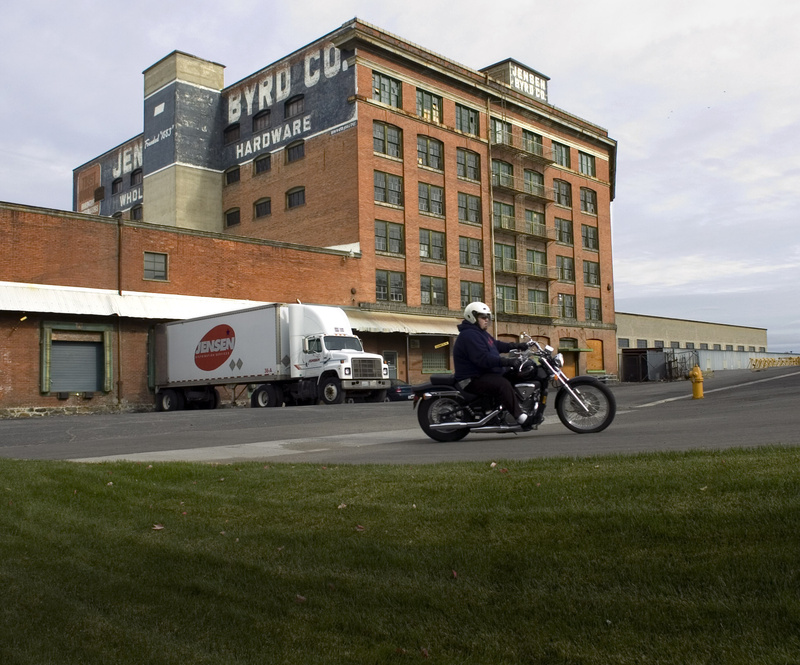 Late last year, Washington State University-Spokane announced it would sell a 102-year-old warehouse called the Jensen-Byrd building so a development company could tear down the brick building and erect student housing. Last month, the city-county Historic Landmarks Commission determined the building is eligible to be placed on historic registries. That will create procedural hurdles for tearing it down, but doesn’t prohibit demolition as long as a new building takes its place. On Monday, the Spokane City Council will consider a non-binding resolution requesting that WSU reconsider the decision. Councilman Steve Salvatori, co-sponsor of the resolution, said the structure is sound. WSU-Spokane Chancellor Brian Pitcher said he’s not offended by the resolution. “This is the way the public process should work, and we’re happy to participate in the process,” he said. But he said WSU studied possible redevelopment opportunities for the Jensen-Byrd building at least five times over the last several years and a realistic plan didn’t emerge. “We’re excited about the Campus Advantage proposal and are certainly committed to work with Campus Advantage to complete that project,” he said. The new apartment-style student complex would have 428 beds and some retail space, he said. Councilman Jon Snyder, who also is sponsoring the resolution, and other advocates for saving the building have used the University of Washington-Tacoma as an example of a new urban campus that has successfully renovated older buildings for its use. Snyder also said the recent demolition of the former Piggly Wiggly and other warehouses to make way for the new Martin Luther King Jr. Way leaves few historic buildings left on campus. Salvatori, who owns the Spokane Entrepreneurial Center, which includes older renovated buildings downtown, added that if the choice is between the Jensen-Byrd building and Campus Advantage, he’d chose Campus Advantage. He just believes there likely are alternative locations, including on land where newer additions of the Jensen-Byrd building could be torn down.